Our passion goes all the way to your door! From 7 a.m, our logistics team start preapring your precious orders in particular packages. Orders placed before 12pm are dispatched the same day or the day after. 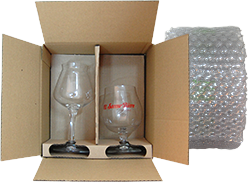 Our beers are separately placed in reinforced boxes to avoid any breakage. 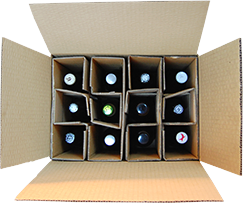 Our boxes can contain up to 24 bottles, placed vertically for more safety. 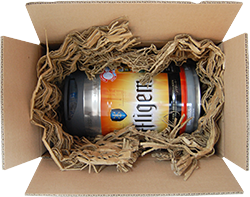 All our boxes are optimised so they can contain up to 3 kegs. We also use an eco-friendly milling system to recycle cardboard boxes and protect our kegs. Our glassware is doubly protected! Inside the box, they are wrapped with reinforced bubble wrap! What we love the most after beer: picking and packing your orders with love! Pay no shipping charges when collecting your order from our warehouse and get a 10% discount. Simply go on our website, choose among 2,500 products and select "collect on site" when checking out. Your order will be ready for collection from our shop 30 minutes later. 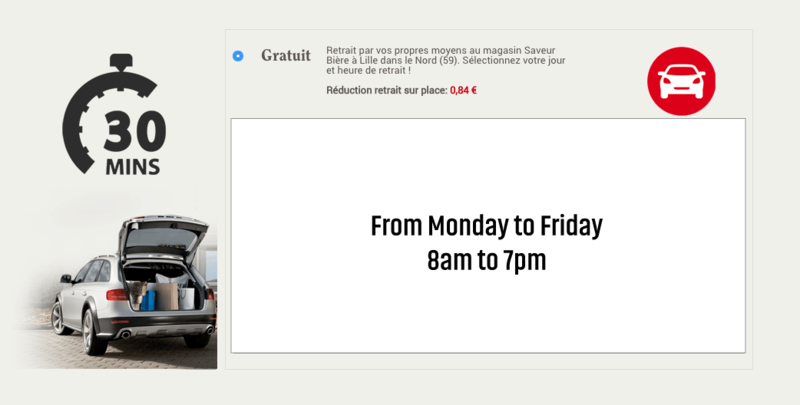 Come meet our team and collect your order directly from Saveur Bière; 2ième avenue, Port Fluvial de Lille. Our store is opened from 8am to 7pm throughout lunch, closed on weekends. How to get here. We have selected the best carriers to offer you a quick, efficient, and affordable service. Price may change depending on the weight of your order. Delivered to your home or office, with interactive delivery through emailing and SMS, so as to prepare the shipment the same day. Express delivery to your home or office, before 1 P.M. with interactive delivery through emailing and SMS, so as to prepare the shipment the same day. Home delivery on Saturday mornings, ideal for when you are not available during the week! To be delivered the next day, an additional 5€ is added to Chrono’s regular price. Express delivery, before 1 A.M. to one of the numerous Chronopost’s pick up locations. Delivery tracking by email and SMS of the shipment. Express delivery, before 1 P.M. to one of the numerous Chronopost’s pick up locations. Delivery tracking by email and SMS of the shipping. Prices are according to the order (extra fee for the second delivery if you are absent to accept your package on the agreed upon date&time) for all heavy and fragile products such as beer machines, brewing kit, etc. Chronopost insure the best service and the most efficient transport of your precious goods. Optimize your transport with our price list bellow!